Sync your user's activity with Intercom whenever they make a payment through Stripe. 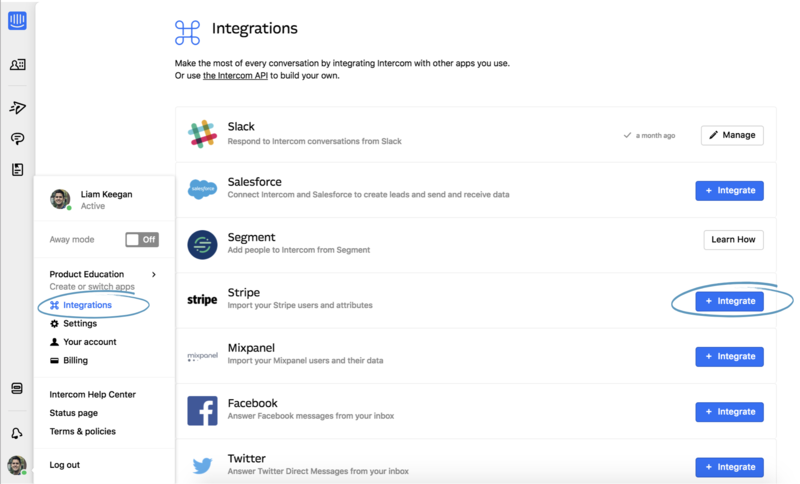 If you don't want to install the Intercom Messenger just yet, you can sign up to Intercom through a Stripe integration. You’ll be able to create an Intercom account and sync user data to Intercom whenever someone makes a payment through Stripe. And we’ll continuously pull in user and live sales data like your users’ plan and account balance. 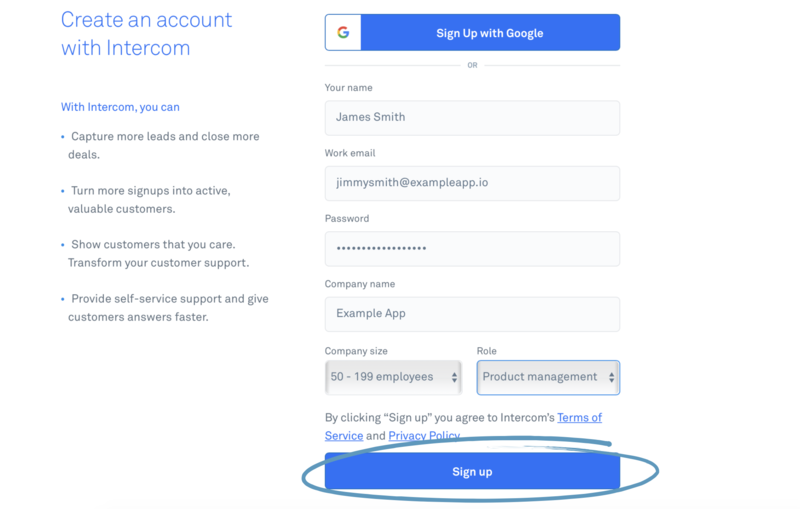 First, enter your email address on the Intercom homepage and create your account. 2. Next, start your free trial. You'll get a 14 day free trial of each product, which you can start at any time. 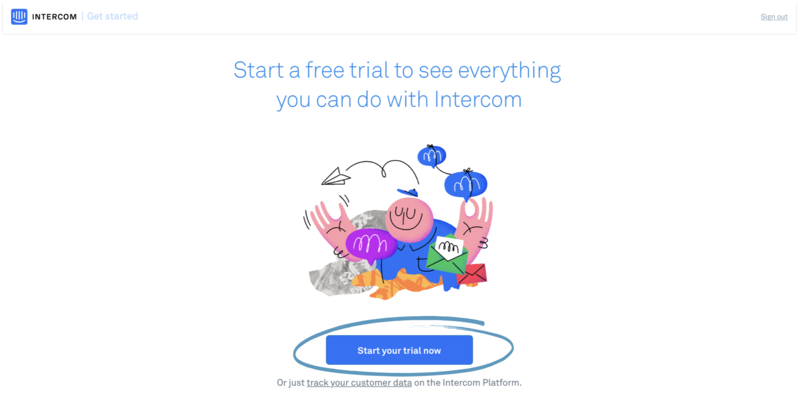 After your free trial ends, Intercom's products start at $49/month. If you cancel in the first 14 days you won't be charged. 3. Go to 'Integrations', select 'Stripe' from the list and follow the super short instructions provided. Watch a demo: If you'd like to learn how to use Intercom from the people who built it, watch a prerecorded demo. Finish setting up: Once you’re logged in to your Intercom account, open the Intercom Setup Guide (lower left hand side of your screen) to finish setting up.